In this chapter we discuss an asymptotically optimal Schur complement reduction for the 2D stationary Stokes equation in polygonal domains. This equation may be applied to model a slow flow of viscous incompressible fluid and also in iterative methods for solving the Navier-Stokes and the nonstationary Stokes problems. 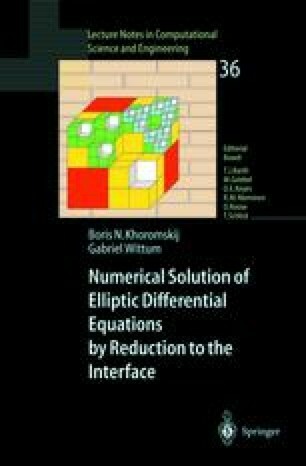 Efficient finite element multigrid method for the Stokes and Navier-Stokes equations by using transforming smoothers was developed in [187, 189] see also recent results in .